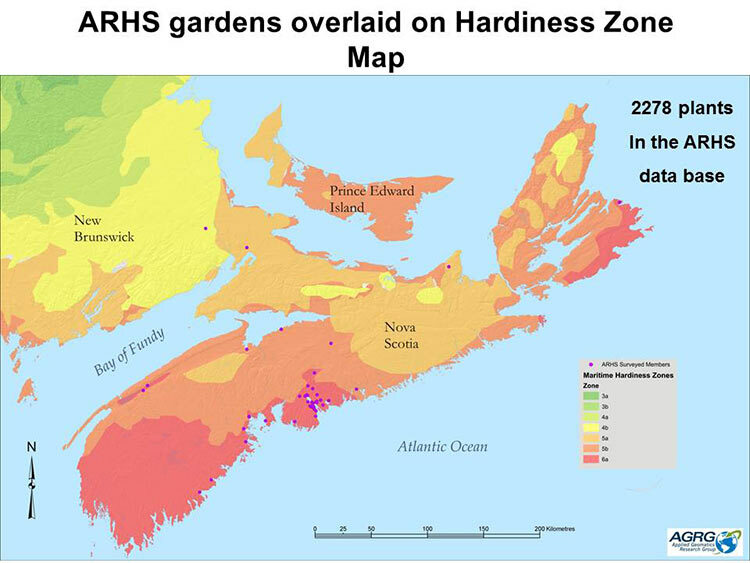 The dots on these maps indicate where some of our Nova Scotian members garden. Nova Scotia is a kind of crossroads of the North Atlantic, where two ancient continents met millions of years ago, where continent and ocean now meet, and where the southerly climatic and forest regions make the transition into the northerly Boreal Zone. This transitional nature is reflected in a wide variety of forest associations and in the intermingling of plants and animals that have very northerly ranges with those that can be found in Louisiana or the Carolinas. The meeting of land and water, maximized by the province’s long and convoluted coastline, results in a variety of environments that are physically dynamic and biologically productive. The coastal and offshore waters are influenced by both the cold Nova Scotia Current and the warm North Atlantic current – the northern continuation of the Gulf Stream. 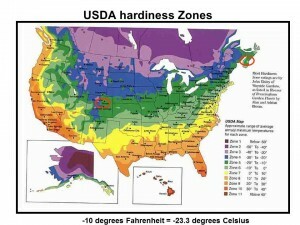 Although it sometimes seems otherwise, our climate and weather are moderate, with a range of standard hardiness zones. Mid March to late April: 0 to 10 degrees Celsius (32 to 50 degrees F). Late April to mid June: 10 to 20 degrees Celsius (50 to 70 degrees F). Mid June to mid September: 20 to 25 degrees Celsius (70 to 80 degrees F). 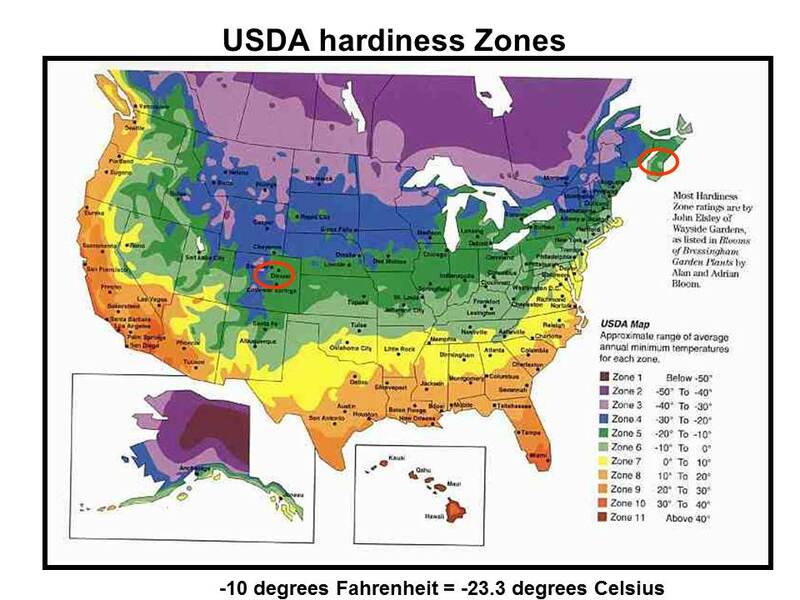 Mid December to mid March: 0 to -15 degrees Celsius (0 to 32 degrees F) with many freeze/thaw cycles that can go through large temperature fluctuations. The ground can freeze. The frost line is 4 feet.